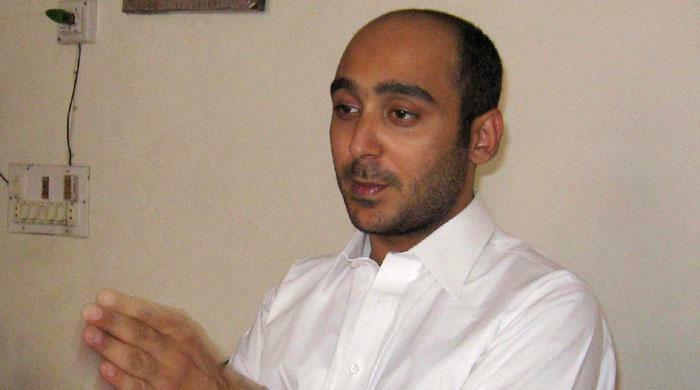 ISLAMABAD: Former Prime Minister Yousuf Raza Gilani’s son Ali Haider Gilani has been recovered in a joint operation by Afghan and US forces in Ghazni, three years after he was kidnapped from a pre-election rally in Multan. The news was first broken by Pakistan People’s Party (PPP) chairman Bilawal Bhutto-Zardari in a tweet. The news was shortly confirmed in a statement by the Foreign Office in Islamabad. “The Afghan National Security Adviser, Mr. Mohammad Hanif Atmar, in a telephone call to the Adviser to the Prime Minister on Foreign Affairs, Mr. Sartaj Aziz, informed that Mr. Ali Haider Gilani son of Mr. Yusuf Raza Gilani, former Prime Minister of Pakistan, has been recovered today in a joint operation carried out by the Afghan and US security forces in Ghazni, Afghanistan," said the statement from the Foreign Office. The Foreign Office said that transfer of Ali Haider Gilani to Pakistan was being arranged following a required medical check-up. Ali Haider Gilani has been shifted to the Bagram Airbase, sources told Geo News, from where he will make his journey home. Speaking to Geo News, his brother Ali Musa Gilani said, "I can't wait to meet him. My mother is overwhelmed with emotion. I cannot explain in words how traumatic the three years were for our family." Jubliant party workers and friends gathered outside the Gilani residence in Multan breaking into dance and celebrations. Ali Haider Gilani was seized by suspected Taliban militants in a hail of gunfire on the outskirts of Multan on May 9, 2013, two days before the general elections in which he was campaigning. Gunmen on a motorbike opened fire before abducting Ali Haider Gilani in a black Honda car. His secretary and a bodyguard were killed and four people wounded. Haider was contesting a seat in the Punjab provincial assembly. In the three years he was abducted, Haider Gilani was able to contact his family only once through an eight-minute telephone call on May 24, 2015. His father, former PM Yousuf Raza Gilani, was in Multan along with Pakistan Tehreek-e-Insaf (PTI) senior leader Shah Mehmood Qureshi, who also spoke to Ali Gilani over the phone. "My son Ali Haider Gilani told me that he is happy and safe at (an) unknown place," Yousaf Raza Gilani had said after the phone call. Gilani's recovery comes two months after Shahbaz Taseer, the son of slain former Punjab governor Salman Taseer, was freed. Shahbaz Taseer was rescued from Balochistan in March this year, almost five years after he was kidnapped from Lahore on Aug 26, 2011. Reuters adds: Afghan President Ashraf Ghani’s office said Afghan security forces defeated an Al Qaeda cell in a joint operation with international forces, and suggested that the discovery of Gilani may have been accidental. “During this anti-insurgency operation, Ali Haider Gilani...was identified at the site of the operation, and was freed from terrorists,” it said. According to Ghani’s office, the raid occurred in neighbouring Paktika province, which also borders Pakistan’s restive tribal areas. US forces in Afghanistan confirmed Gilani had been rescued in a joint raid with Afghan commandos in the Gayan district of Paktika, according to a statement released on Tuesday. Four enemy combatants were killed during the operation, which involved US special forces and was carried out under the “Freedom’s Sentinel” counter-terrorism mandate.